Greetings Yokota! Thanks for taking the time to read this article and hear from one of the mission partners on base. The 515th Air Mobility Operations Group has a proud tradition of working side by side with the 374th Airlift Wing to execute extremely challenging missions across the theater. Our operational landscape in the Western Pacific is comprised of capable adversaries, complex command relationships and fluid, yet critical alliances. The success of our mobility enterprise, and the units we support from Misawa in the north to Thailand in the south, Yokota in the east to Diego Garcia in the west, rests squarely on strength of our partnerships. The work you accomplish on a daily basis directly impacts our combined ability to prepare for the next contingency while executing today’s mission safely, by the book…then on time! Our Group’s priorities are similar to your Wing Lines of Effort which Col Moss described in his first article and is the main topic of this blog. Embolden the Squadron – In order to secure squadron success, we will strive to guarantee Successful Day to Day Ops and Develop Empowered, Innovative Airmen. We must leverage the intellect of our Airmen to improve how we operate today and our plans for the future. We will mold our Airmen through engaged leadership while emphasizing a compliance-based culture. 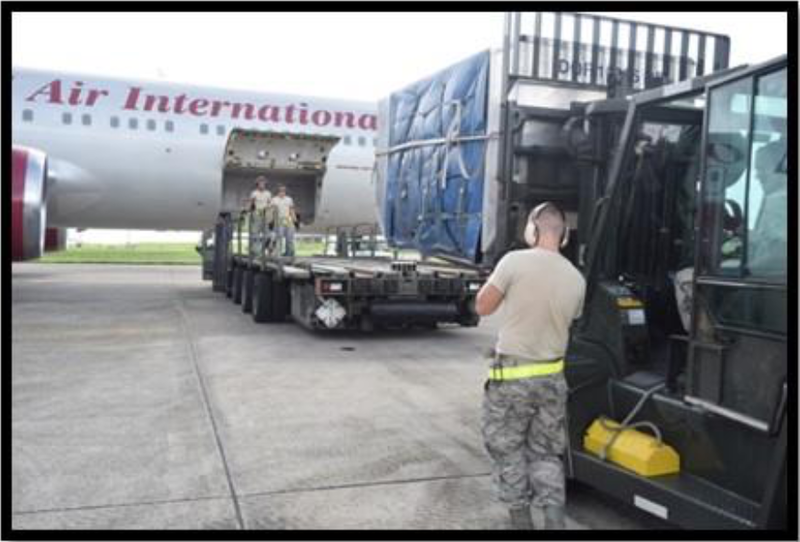 Operation Plan & Humanitarian Assistance/Disaster Relief Readiness – We will maximize our preparedness by Improving our Strategic Capabilities and Partnerships as well as cultivate Proficiency in our Core Competencies for an Aerial Port, Maintenance and C2 organization. Our geographic locations provide strategic staging grounds to further our nation’s missions. Trained Airmen with optimally maintained equipment will ensure the strategic functionality of Bases, and Operating Locations throughout the Western Pacific. Care for our Airmen & Families -- We will continue to support and implement quality of life programs essential to our lifestyle while Promoting a Safety Culture On and Off Duty as well as Connecting, Communicating and Collaborating with each other as individuals. We must learn and recognize our performance limits, employ sound judgement, utilize effective Operational Risk Management and emphasize Calculated Risk-Taking in our professional and personal lives. Military life is challenging, and living overseas presents unique obstacles for our personnel to navigate. Establishing a relationship of trust, respect, support, active two-way communication, as well as team problem solving, will optimize our Wingman culture. As you can tell, the focus of the 515 AMOG and 374 AW are very similar which makes us a great team but we are also Proud To Be…AMC!